Meals and snacks are prepared in a commercially licensed kitchen by an on staff cook. We do our very best to accommodate any allergy. If your child has any allergy or sensitivity, it is important to inform the teacher in writing. If there are products or foods that should not be in the classroom, please indicate that as well. Milwood Commons Preschool and Childcare participates in the Child and Adult Food Care Program (CAFCP), a food cost reimbursement program. We develop our menus around the CAFCP guidelines for nutritious meals and snacks that will contribute to the wellness, healthy growth, and development of young children. Every summer, families will be provided with a CAFCP eligibility form. 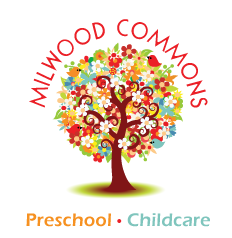 Completion of this form allows Milwood Commons Preschool and Childcare to participate in this program.